The first PocketPC virus is now known as WinCE.Duts.1520. This case is very similar to the Symbian Cabir worm which was found a month ago. This is a new proof-of-concept virus. It has not been found in the wild. It's been written by a member of the 29A virus-writing group. The worm is not known to be spreading in the wild at all. It will be never become a problem in the real world. Unlike Cabir, Duts is a traditional parasitic virus. 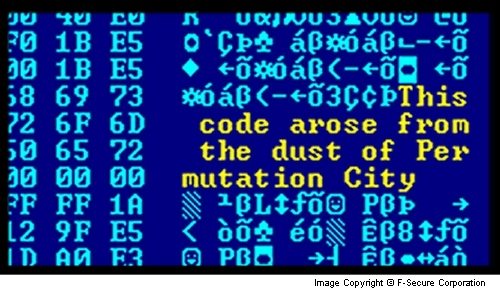 It infects other programs in the PocketPC PDA, and spreads from one PDA to another when people exchange programs (for example, by beaming a game). When granted the permission, Duts attempts to infect all EXE files in the current directory. As usual, virus writers don't get to name their viruses - we do. So we named it Duts instead of Dust. This is proof of concept code. Also, i wanted to make avers happy. Do note that this virus would also be capable of infecting mobile phones running ARM-based version of PocketPC. F-Secure have shipped an update for F-Secure Anti-virus for PocketPC to detect WinCE.Duts.1520. Read eWeek's editorial on the issue.